YHouse was honored to host Robbert Dijkgraaf and Pia de Jong in Caveat, the new stage place for playful, intelligent nightlife, in our monthly series Chasing Consciousness. They shared with us their stories of the double career that each of them has followed, Pia in psychology and writing, and Robbert in physics as well as art and education. On stage, it was as if we could see them talking at their kitchen table, while they reflected on how those four stories run through their shared lives. You can find a video of their conversations here. Robbert is the Director of the Institute for Advanced Study, and a mathematical physicist who has made significant contributions to string theory and the advancement of science education. He is also the author of the second half of the book The Usefulness of Useless Knowledge; the author of the first half is Abraham Flexner, the very first Director of IAS. Pia is an award-winning Dutch writer. 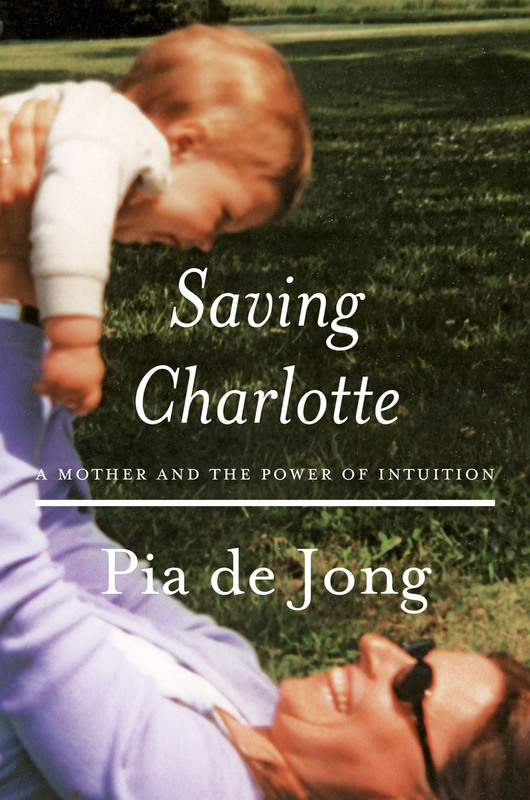 Her most recent book is Saving Charlotte: A Mother and the Power of Intuition in which she shares the story of the first year in the life of their daughter Charlotte, who was diagnosed with a rare form of leukemia, with very small odds of survival. She and Robbert decided to forego chemotherapy, and Pia describes in moving and deeply insightful prose what she and her family of five went through, until Charlotte's cancer went into complete remission. Robbert started off with a quote from Einstein: "imagination is more important than knowledge, for knowledge is limited to all we know and understand, while imagination embraces the entire world, stimulating progress, giving birth to evolution." In addition to imagination, he mentioned curiosity, equally essential in scientific research: imagination as the art to see what is hidden; curiosity as what drives us to climb over the next hill and go look what is there. He pointed out how unusual it was, for both of them, to talk about the process of imagination, rather than the results. Pia and he regularly give talks, she about her books and he about his scientific papers, but much less often about what gives rise to it, the creativity that underlies the way those books and papers take shape. Especially in science, a suppression of the role of imagination can be very misleading for young students. As a case in point, he talked about his personal path to becoming a scientist. When Pia and he first met, Robbert had just finished his Bachelor's degree in physics. Soon afterwards, she said to him: "you are a so-called physicist, but I don't see you doing any physics, I see you spending more and more time drawing and painting." When he reflected on that, she encouraged him to follow his passion, and go to art school. He realized that she was right, applied and was accepted to the Rietveld Academy, the leading educational institute for art and design in Holland. Going to art school for him was a revelation: there were no exams, there were no tests, there were no correct answers -- nothing like what had been so off-putting for him while he was getting more and more bored during his undergraduate studies in physics. At the end of each week in art school only one thing mattered, namely how high the stack of sketches was that he had produced. He recounted how, during his training, he was strongly encouraged to go out of his comfort zone. He wanted to become a painter, but was forced to do photography, ceramics, and industrial design as well. He found all that to be liberating, to go in those areas, where basically you couldn't make a mistake, as long as you just kept going. Then at some point something unexpected happened. One day he found himself in a book store, and decided to buy a physics book, for old times sake. Liberated from any pressure to study for exams, he could now enjoy it on the same level as he enjoyed his artistic expressions. And to make a long story short: after finishing the Rietveld Academy, he decided to return to an academic career. Surprisingly, his detour through art school turned out to be a shortcut: he entered the physics PhD program like a researcher, immediately ready to delve into research, very different from someone who knows the correct answers to an exam, like most of his class mates. He told us how he realized how scientific progress is not a step-by-step affair, of slowly moving forwards. Rather, he compared it with jumping into the deep and then trying to swim back to shore, to share what he had found in the deep. I had to smile when he used that metaphor, because I had read Pia's second novel, Dieptevrees (Fear of Depths), seven years ago, well before I even knew that they would come to Princeton. I had read about her book in a weekly Dutch newspaper, and was intrigued, so after some searching I ordered a copy through a Belgian on-line ordering service, there being no Dutch branch of Amazon. And I was glad I did: the way Pia had depicted each of the characters in her novel was at the same time intimately recognizable and carefully delineated as in an exquisitely drawn pen sketch. I am looking forward to the appearance of an English translation, hopefully soon! Next Pia talked about her detours, from a study of literature to a career as a management consultant, to finally starting to write novels. Like for Robbert, for her too her undergraduate studies had been disappointing. The focus on an overwhelming amount of background detail, in terms of history, grammar, and analyses of the many famous works that had been dissected endlessly in class -- all that had sucked the pleasure of reading and fantasizing out of her original motivation. That's why she switched to psychology at the same time that Robbert switched to art, both of them supporting each other, soon after they had met, in their turning to something more alive and more human oriented than deadening exams and intellectual dissections. After completing her studies, she found a job as a management consultant. Her main task was to analyze the structure of a company, but it included coaching people in the company under investigation. And it was that part that she liked most; she was deeply interested in the human aspects, especially the question of how each person goes about trying to solve their own problems. She started using forms of imagination therapy, in which people are brought into a slight trance, in order to find the images that bubble up from their unconsciousness. After becoming familiar with the images that work for each of them, she then tried to steer them into more positive directions within their own behavior. The key was to find out how people are stuck in their own imagery, in order to help them to switch toward new narratives about themselves and their world. Her work came to a sudden end after the birth of their third child, Charlotte, who was diagnosed with what seemed like an almost incurable disease. She stayed at home, focusing fully on her daughter, for more than a year. When Charlotte was healed, to everyone's surprise, Pia felt that she couldn't go back to her old job. She felt she needed to tell her own story, but wasn't sure how. Pia shared with us how she got up in the middle of the night, and went to her old office at home, where she was confronted with the question "who am I?" Without further thinking, she picked up her pen and started to write her name, Pia, and below it Charlotte. She told us how she had never felt a connection with her own name, which didn't seem to fit her, but suddenly, for the first time, she felt: yes, this is my name. At that point her writer career effectively started. She couldn't stop writing, and night after night she wrote and wrote, as if for her a vein had opened, and a richness of stories appeared, stories that had been inside, waiting to come out. After having told us how they had each found a liberating path to creativity, Robbert and Pia started a dialogue between the two of them, about the question of what is real. Robbert told us how, married to a novelist, he acquired the extra company of all the fictional characters that lived in Pia's novels. Together, they would often discuss those characters, what they would do and not do, and he noticed how halfway the book writing they became more and more independent, as if they had become real. Pia emphatically agreed that her characters are totally real, that she doesn't make them up. Rather they find her and they want her to tell a story about them. At this point they opened the floor to let the audience participate. They gave advise for how to become an artist or scientist without getting trapped in educational patterns that can sap your inspiration away. They talked about the ongoing shift in the arts, where there is a growing emphasis on process, rather than results, while in science less than 1% of the conversations are about the actual process of producing science. They emphasized the need to make a mess, before straightening things out, as an essential part of the creative process in art as well as in science. They also expressed the need they both felt to nourish their senses by looking at art, to get inspired that way, thus turning away from the news and everyday issues in politics, which can so easily become all consuming. 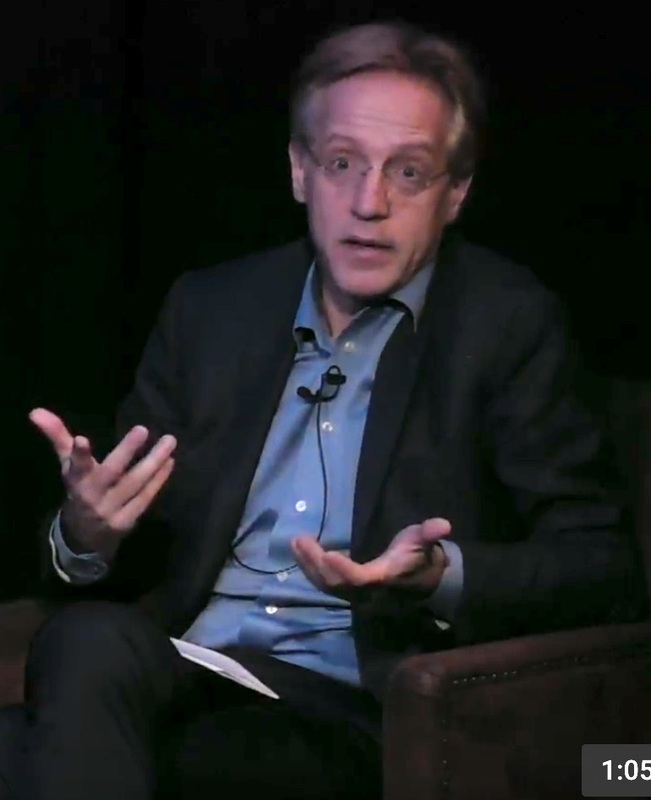 Robbert, in answering the last question from the audience, told us what he does when in his work he feels he has temporarily reached a dead end. In such cases, he often starts reading a biography of somebody he admires, or he goes to an art exhibition. In such cases he feels, as he put it: "Hey, wait a moment, other people have found a way, and that inspires you. That is a remarkable thing, that there is something to the creative process that is universal. You recognize it in historical figures, in completely different fields. You might read about a composer, struggling four centuries ago, and it helps you solve an equation in quantum mechanics. There is something universal there, and we both recognize this. And it is also very nice to recognize that in others."